This is the Carolinas and us Making Strides against Cancer. 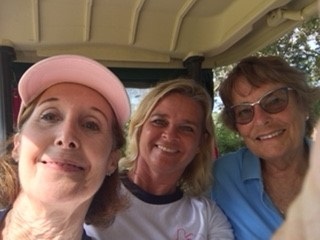 Franne, Chari and their broker Ann Whalen at the Making Strides golf tournament at Legend Oaks Golf Club. Our beverage cart; two grandmas and a babe. Yvette helped early with the set-up. Truly a team effort.